Top 5 Great Vegan Smoothies! November 30, 2015 December 14, 2015 by AdoremydietLeave a Comment on Top 5 Great Vegan Smoothies! Here is a list of my top 5 vegan smoothies! I have been meaning to write this list for a while now and by jove, I have finally done it! I have compiled a list of my own smoothies that have been building up and I thought I would wait instead of putting them on separately, I thought I would just show you my top five vegan smoothies! These are great if you are just getting into eating healthy, becoming vegetarian, having a meatless monday or even if you just want to get in more veggies and fruit!! Here goes….! 1 Apple- Peeled & cored. 1 Banana- Peeled and chopped. 1 Cup Frozen Pineapple & Mango Chunks. 3 Medium Size Ice Cubes. 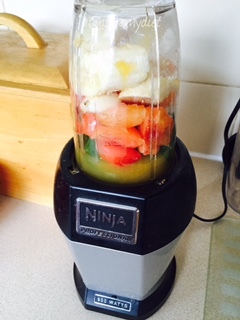 Pile in all ingredients at once into your blender, mine is a Nutri Ninja Pro which I absolutely love as it blends everything together with minimal effort and with ice or frozen fruit!! Half A Cucumber- leave skin on! 1 Cup of Raw Spinach. Throw everything into the blender and blend, done in 2 minutes with a bit of pulsing and the consistency was like juice!! 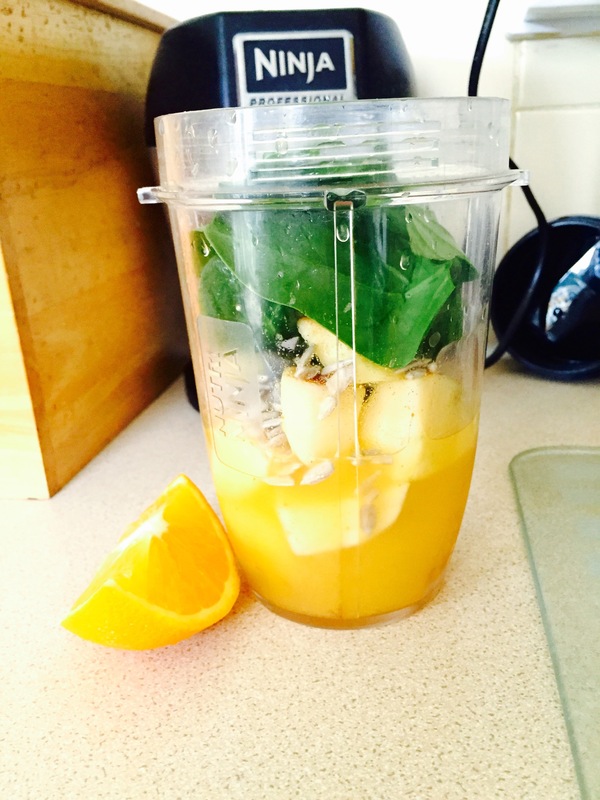 This is my take on Freelee’s Datorade, I love all her recipes for smoothies, so tasty! I just added a banana to make it that much thicker and even more creamy! Thanks Freelee! 4 Dates- Stone taken out. Whiz everything together in the blender, this is a great recipe for if you have a smaller blender than Freelee’s, if you want to you could also add ice, I actually poured mine over ice to make it nice and cold!! 4. Mango, Pineapple & Kiwi Fruit Smoothie. 1/2 Cup Pure Orange Juice. 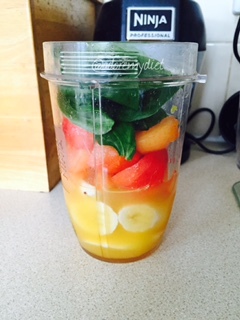 Blend together, for a less thick smoothie please add more orange juice or water, the taste of this had oodles of mango aftertaste, as soon as you sipped you really get the flavour of the pineapple! Wow! 5. Chocolate CoYo Banana Smoothie. A delicious salted caremel & chocolate smoothie that is bound to be a new favourite! 2 Banana’s- Peeled & Chopped. Drizzle Salted Caramel Flavouring (Available at Waitrose). Blend together in blender, super quick and deliciously creamy! 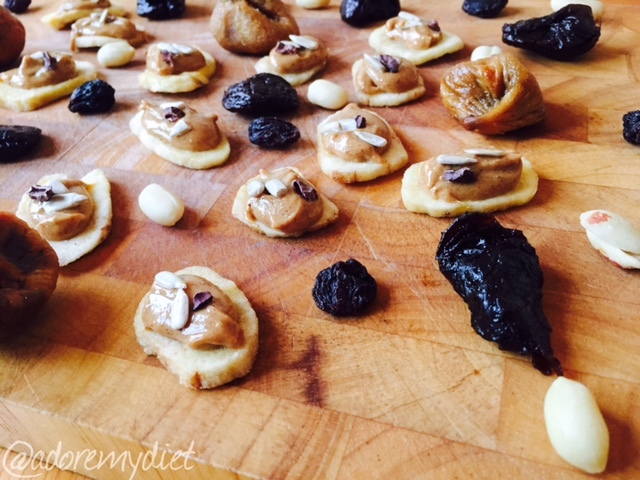 I hope this gives you some inspiration to go and try them, always remember that you can always modify these to suit your own taste buds, don’t be afraid to add more or less ingredients and you will be well on your way to a fitter and healthier you. Fruit platter for a party! 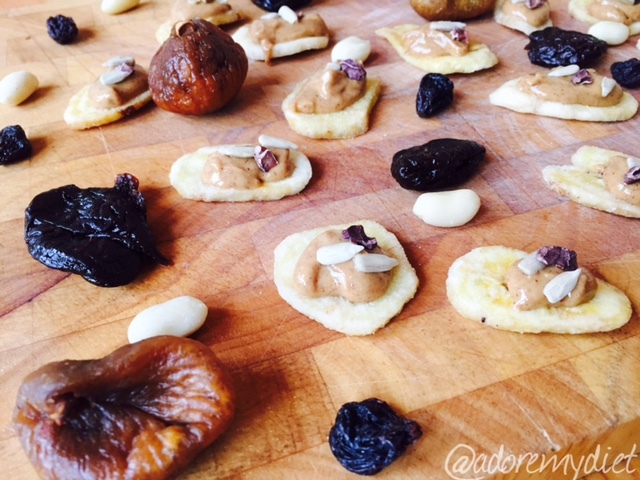 November 4, 2015 by AdoremydietLeave a Comment on Fruit platter for a party! This I found was a really lovely idea for a get together if maybe you were worried about catering for vegetarians etc, it’s very quick and simple and great if you don’t have much time! 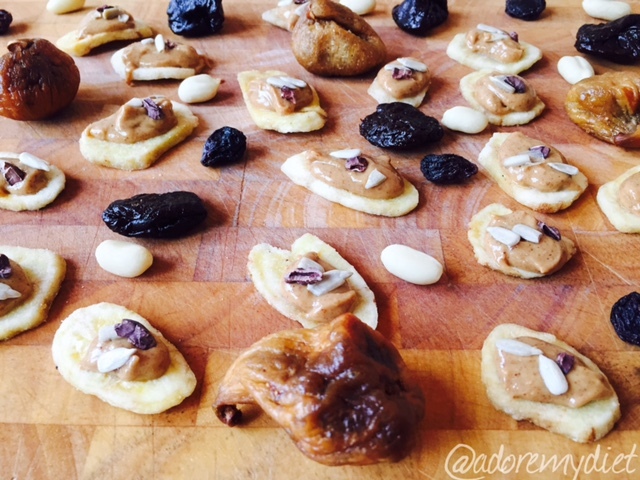 Banana chips with a teaspoon of peanut butter, sunflower seeds and a cheeky cacao nib. 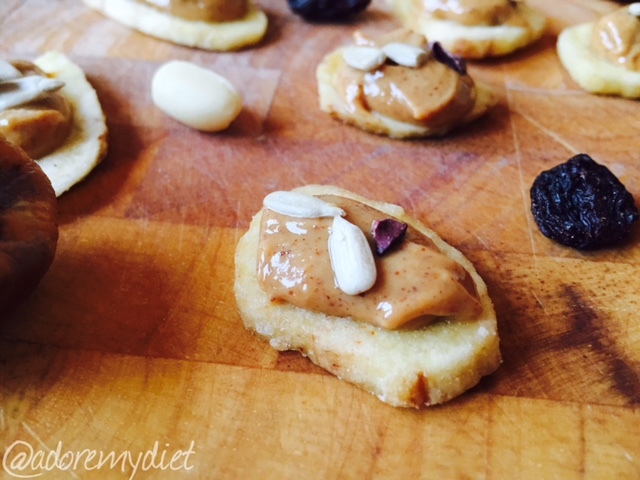 Gorgeous, I loved the the crunch of the banana chip with the smooth texture of the peanut butter, looks cute too! 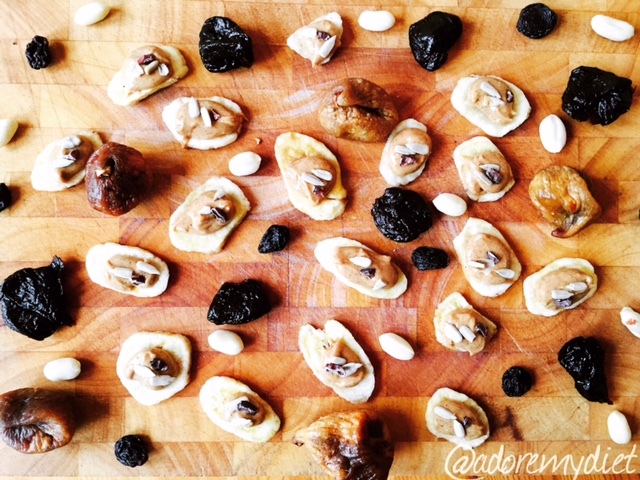 The figs, prunes, nuts and raisins all work perfectly together and for a little party this is okay, as with everything and what I would tell anyone who asked me, I would say every thing in moderation but feel okay to splurge a little especially when it comes to fruit in any form! I hope the next time you have a party with friends that you will give this one a try! 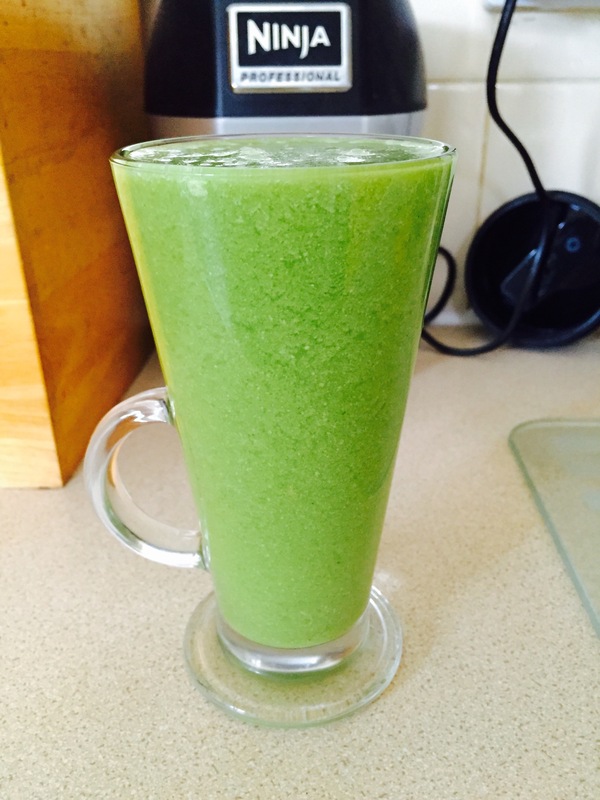 October 23, 2015 October 23, 2015 by AdoremydietLeave a Comment on Green With Envy Smoothie. This is my morning boost smoothie that promises to deliver energy and a wake up call to those taste buds, to really start the day with a pow! I love that it tasted delicately sweet with a hint of lime, which made for a lovely after taste which was like a tangy explosion! Very refreshing and the consistency would be likened to a juice, so a perfect companion during a workout or even to have alongside oats with breakfast! 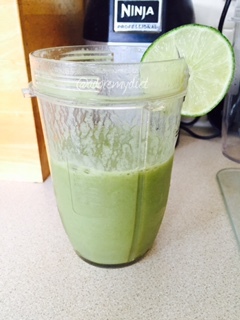 1/2 Juice of a Lime- You could do more if you like! Juice of 1 Large Orange. 4 Plums- Peeled and pitted. 1/2 Cup tightly packed spinach. 3 Medium sized Ice Cubes. Do all the preparation of the fruit before you start and then add banana, plums, spinach and juices to the blender, I use a Nutri Bullet blender and blend until you cant see the spinach anymore! This smoothie was gorgeous, if you want a thick smoothie then add a banana but today I wanted it to be a juice style to have alongside my workout! Juice of 2 large oranges. 1 Apple, peeled and cored. Whizz up all ingredients in blender, make sure you whizz for longer than normal to break down the sunflower seeds! !